Statistics Canada recently reported that there are more Canadians over the age of 65 than there are under the age of 15. In addition, centenarians — seniors who are 100 years old and above — are now the fastest-growing segment of the population, while those at working age (15-64 years old) are declining. 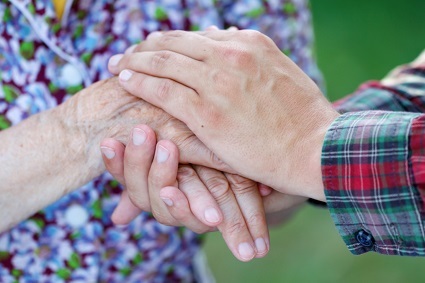 Taken together, those facts mean one thing to analysts at CIBC Capital Markets: the cost borne by working Canadians to take care of their aging parents, currently at $33 billion per year, will increase even further. “An aging population combined with longer life spans and strained social services has in recent years seen more and more Canadians taking on the role of caregiver for their aging parents, and in the coming years, that tendency is only likely to intensify,” said CIBC Deputy Chief Economist Benjamin Tal in the report Who Cares: The Economics of Caring For Aging Parents, which he co-authored with Senior Economist Royce Mendes. They estimate that direct costs and indirect costs associated with the elderly will balloon by more than 20% in real dollars over the next ten years due solely to changing demographics. While the effects of demographics will vary from interest rates to consumer preferences, the analysts saw the brunt falling on the shoulders of those who will become their parents’ caregivers. “[C]osts associated with the elderly are already rising faster than the pace of inflation because of the high demand for such goods and services,” Tal said. Almost two million Canadians, composing 14% of those with parents over 65, currently pay for care-related out-of-pocket costs. On a per-caregiver basis, that adds up to $3,300 a year; considering the whole economy, that’s just over $6 billion a year. Those in the Eastern and Western provinces take on the highest direct expenses, with residents of Ontario and Quebec facing lower costs. Many of the direct costs end up hurting those with lower incomes; Canadians with annual salaries below $50,000 per year on average spend 30% more than those with higher incomes. The other costs, consisting of roughly $27 billion per year, come from labour-related opportunity costs. “Close to 30% of workers with parents over the age of 65 lose roughly 450 hours per year of time off work to attend to the care needs of aging parents,” Tal said. Such costs come in the form of lost income and foregone vacation time. Other costs unaccounted for are the reduced potential for job mobility or promotion that could result from taking time off work. Low-income owners and women lose the most in this area, with women taking 30% more time off than men to care for their aging parents. In 2016, the increase in costs in assisted living services (5%) and heavy care services (8%) both outpaced average rent inflation (2%).